Drive guru Western Digital has announced it is now shipping Caviar desktop hard drives with a quite unbelievable 320GB per platter. As is the way with such things, WD has trumpeted the achievement before - it's the same technology that was used to fit 160GB per platter in a notebook drive back in October. The feat works out at around 250 gigabits-per-square-inch. "Our technology investments and product roadmap execution have resulted in WD shipping the industry's highest areal densities in the industry's two highest volume markets," said Hossein Moghadam, chief technology officer of WD. WD says it is shipping a 320GB drive based on the technology immediately, with higher capacities to follow. The WD Caviar drives also deliver a 300 MB/s transfer rate and cache sizes up to 16 MB as well as technologies to control noise and heat. 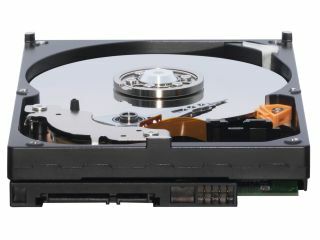 Meanwhile competitor Seagate has announced it has begun to ship its Momentus 5400.4 laptop drives. The 250GB unit has built-in encryption.